Should You Remain Living With Your Spouse During The Divorce As Did NFL Great Deion Sanders? Deion Sanders recently filed for divorce from his estranged wife Pilar Sanders and remained living in the marital home with his wife during the proceedings. Mrs. Sanders alleged that her husband assaulted her during an April 23rd 2012 scuffle at their home, Deion Sanders defense is planning to have his children who witnessed the scuffle testify in his defense. Both Mr. and Mrs. Sanders were charged with misdemeanor simple assault after the incident and both are were seeking protective orders against each other. When asked on the Today show why he remained living at the residence, Mr. Sanders stated that it was his home with his name on the deed and he felt he did not have to be the one to leave. Mr. Sanders stated in the Today show interview that he planned to call his children who witnessed the incident to testify on his behalf. On Monday, May 7th, the Texas court ordered his estranged wife to stay at least 500 yards from the Dallas home and gave temporary custody of the couple’s children to Mr. Sanders and ordered that the children undergo psychological counseling. In Deion’s case, the court has ruled in his favor saving him from possible further embarrassment or loss of employment as a football commentator, but one should be careful when making this decision of remaining in the marital home during the pendency of the divorce proceedings. For one, the parties should be careful not to add any additional stress on the children who are the innocent party caught up in any divorce. Mr. Sanders’ children are now being ordered into counseling no doubt as a result of experiencing this traumatic event between their parents and the simple fact of their parents going through a divorce is extremely stressful in and of itself. Even if you feel that you generally get along with your husband or wife, the proceedings themselves often times make a rather amicable divorce into a heated contest as the parties discuss issues involving assets and liabilities of the marriage. Often times, clients feel that if they leave the home they will be considered to have abandoned the marriage. Most states and here in Florida are “no fault” states which preclude any party from having to find cause in order to proceed with a divorce, any party at any time can file for divorce regardless of the reason and moving out does not affect the outcome. I understand that Husband and Wife sometimes remain together in the marital home due to economic reasons this recession in order to save money or to slowly transition and have their children grow used to the idea that the parents will soon be living apart. The benefit to having one party move out of the marital residence is it avoids the ability of a party or party’s claiming physical abuse or assault as was the case with Deion Sanders. Further it avoids heated altercations happening in front of the children or just making the relationship worse. Whatever you choose, make your decision based on the facts, effects on the children and the cause of the divorce, if you grew apart and the divorce is truly amicable, you may want to risk living together through the divorce but if for instance one of the parties was cheating, its most likely that the divorce will be filled with heated emotion and the parties would benefit from living apart. 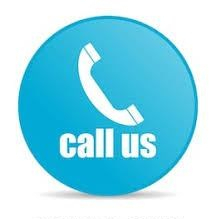 If you have any questions, please feel free to contact us our website at www.grpllaw.com. Nothing contained in this blog is to be relied upon as legal advice and some of the information was gathered from other news sources which may or may not have been accurate. We will correct any information which is determined to be inaccurate.